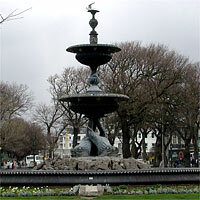 The Steine was an area of low ground next to the Old Town. A stream ran through it, which now flows beneath the lawns, through huge Victorian sewers. The fishermen used this grassy area as a workplace. It was a public area where they could mend boats, dry nets, cure fish, and keep animals. The upper classes took over the Steine. The fishermen were gradually moved off the common as Brighton became fashionable. The Steine was laid out with flowerbeds and gravel walks, so the gentry could promenade. 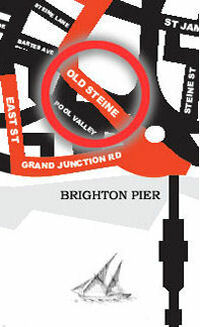 The stream which runs under the Steine can still be seen if you go on one of the amazing tours of Brighton´s sewers. It is ( was ) called The Wellsborn. The fountain shown in the picture was built on foundations made from an ancient stone circle that was destroyed for the purpose. It seems every age has its historical vandalism. Them ‘Upper Classes’ ‘eh Geoffrey! And interesting Peter. Thanks. Are you still doing guided tours of the Old Steine?